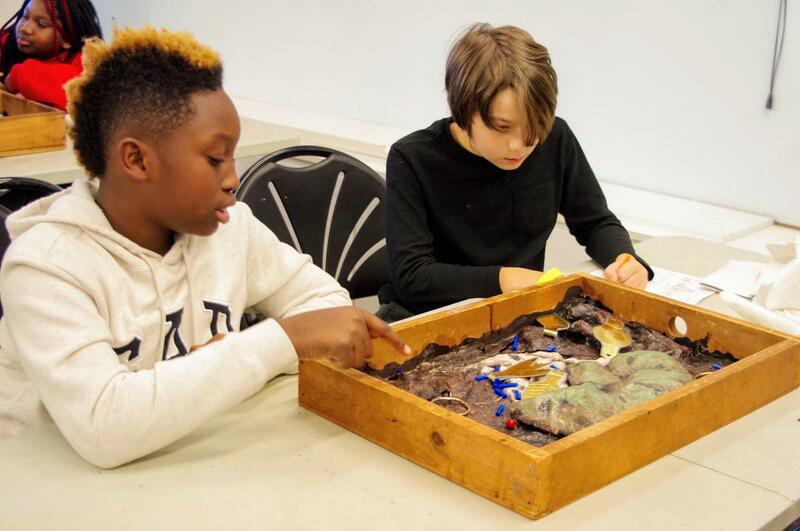 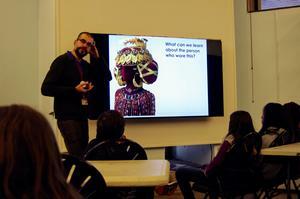 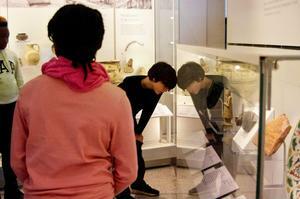 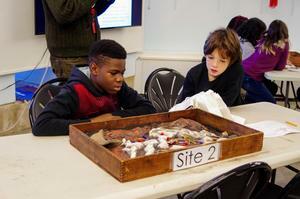 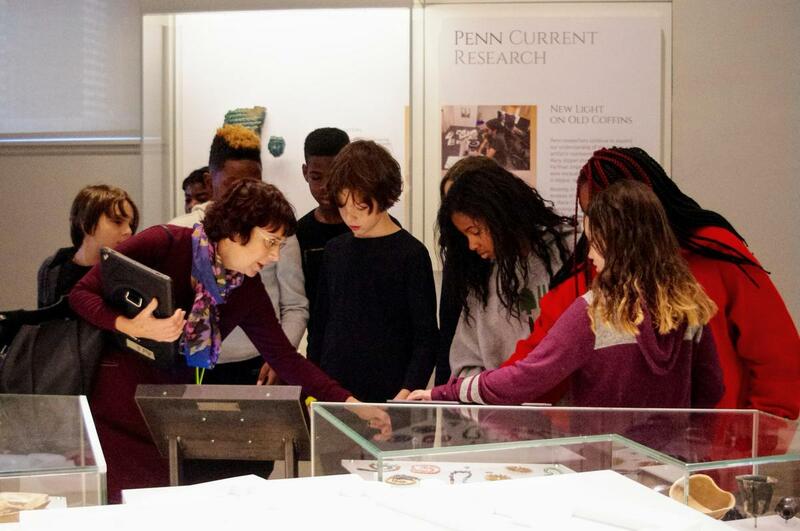 5th and 6th graders traveled by train to Penn Museum to further their study of the Middle East. 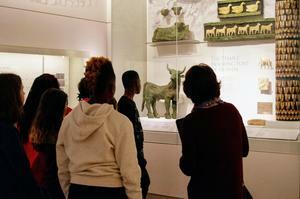 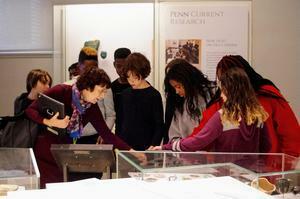 They were given a guided tour of the museum's recently opened Middle East galleries. 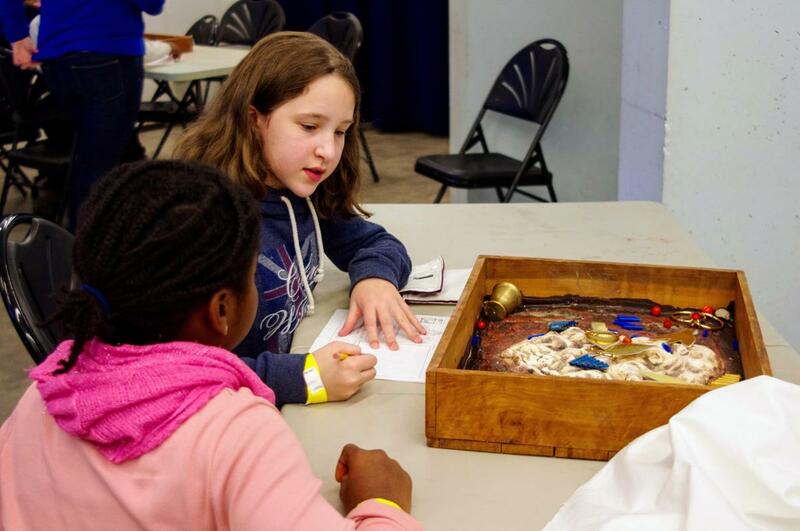 Students were able to see artifacts from ancient Mesopotamian societies and trace the evolution of the world's first cities. 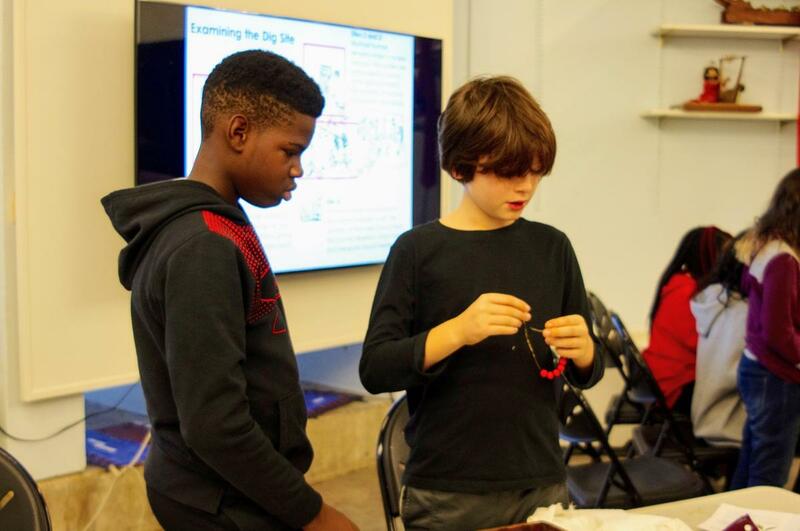 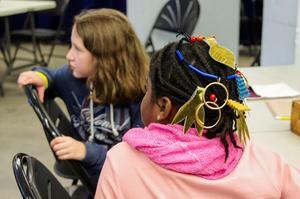 Then students participated in a workshop that explored what can be learned about ancient people from their adornment artifacts.